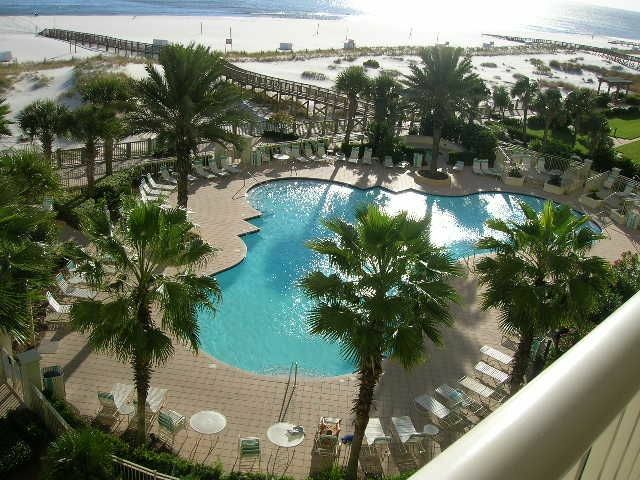 The Beach Club is an A+ Beach Resort located on the Gulf of Mexico. The amenities are first-class. SPOIL YOURSELF AND STAY AT THE BEST!!! You will enjoy yourself in our updated condo after a great day in the sun.. The living area and master bedroom open to a wide, tiled balcony with a panoramic view of the Gulf and gorgeous sunsets. Our beautiful units are professionally decorated. We have a fully equipped kitchen with stainless steel appliances. Each unit overlooks the beautiful beach, the Gulf of Mexico, and beach side pools surrounded by palm trees and lush, tropical landscaping. The Avalon tower has an oceanfront pool, children's pool, and hot tub for your enjoyment. Onsite there is a fine dining restaurant The Coast and a casual restaurant the Hideaway.. Other amenities include eight tennis courts, children's pools, basketball court, kid's park, gazebo hot tubs, and more. The club has an extra outdoor pool and indoor pool, along with a small workout facilities, There is a guest resort fee if you choose to use the Club/Spa facilities. A STAY AT THE BEACH CLUB IS TRULY A VACATION GETAWAY !!! Condo was very nice and clean. We loved this condo! The unit was very clean and updated! The decor was beautiful! Would love to come back to this unit for our next Gulf Shores vacation! Condo was fantastic...much larger than expected. Condo was clean. Views from balcony were besutiful. The owner was responsive and great to deal with. We hope to return. Great condo!!!!! We were there five days and experienced no problems and was neat and clean. This condo has everything you need for a vacation at the beach. The kitchen is well stocked with everything needed to prepare meals. It is clean and well maintained. It is on the 6th floor and has a large balcony which faces the pool and the Gulf of Mexico.The beds are comfortable and there are plenty of pillows, blankets and towels. The description of the condo is accurate. The owner is very responsive and was a pleasure to communicate with. It is a perfect rental for a couple or a family. It sleeps 6. We stayed for 10 days and thoroughly enjoyed our time in the condo. It was hard to leave and my husband said that he would like to return one day. Thank you, Becky for sharing your beautiful condo with us.